Since 1886, National Louis University (NLU) has been a pioneer in higher education in Chicagoland, built on a strong tradition of access and innovation. Our students come from many backgrounds — working adults, career-changers, first-generation college students and veterans, among others — and are inspired to develop their skills at NLU to become leaders and change agents in their fields. At NLU, students with demanding jobs, family and full-time responsibilities are the rule, not the exception. NLU is here to support you with your educational goals, offering specific programs on-site at BOMA/Chicago or NLU campuses and online. Distinctive in design and delivery, our programs are created to fit your busy schedule. Given NLU’s ability to structure programs around your needs, we are proud to announce that we have recently renewed our partnership with BOMA/Chicago to offer undergraduate and graduate business programs for all BOMA/Chicago Building and Affiliate Members and their immediate family members (spouses and children). Through this partnership, you will receive a significant discount off the total NLU tuition along with a number of other benefits. These include small class sizes, career development, job search assistance and networking opportunities with current students and accomplished alumni. In addition, NLU offers financial aid benefits to military veterans and awards college credit to students for relevant work and life experience. Our faculty brings real-world know-how and advanced academic credentials to the classroom so you can gain the expertise you need to succeed in today’s global marketplace. Degree programs offered through NLU’s partnership with BOMA/Chicago include a Bachelors of Science in Management (BSM) and Masters of Business Administration (MBA). NLU’s College of Management and Business is one of only six business units in Illinois that offer business programs accredited by IACBE (International Assembly for Collegiate Business Education). NLU has designed the BOMA/Chicago Bachelors of Science in Management program to leverage training and management competencies in an accelerated format. NLU’s BSM degree prepares students for the next step in their careers, giving them a foundation in business principles as well as an understanding of management, leadership marketing, strategy and organizational dynamics. The BSM program is also available completely online. NLU’s Masters of Business Administration program uses a unique methodology and process to cultivate students’ leadership abilities, combining traditional strategies and techniques related to individual strengths, while providing students with the foundational skills and knowledge that today’s businesses are looking for. The MBA program is also available completely online. Contact NLU TODAY to get more info about the BOMA/Chicago partnership BSM and MBA programs — click here to request more information or call 888-NLU-TODAY (888-658-8632). Be sure to identify yourself to an NLU enrollment specialist as a BOMA/Chicago member, family member, designated student or holder. 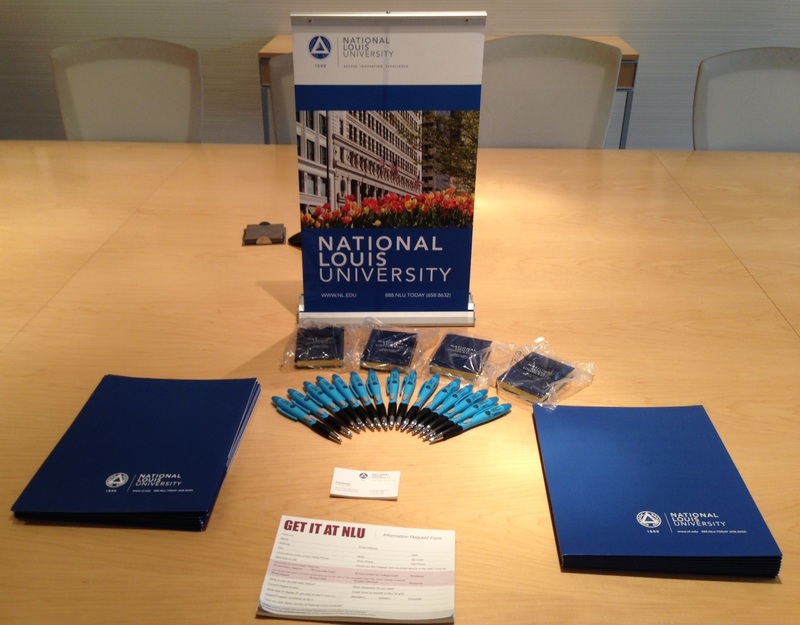 Also stay tuned for upcoming NLU Information Sessions that we hold in the BOMA/Chicago offices. At these sessions, you will speak directly with NLU admissions officers who can answer all of your questions and tell you how earning a degree can propel your career. Plus, if you fill out your enrollment form at an information session, the $40 enrollment fee is automatically waived! You can also join us at the upcoming NLU Career Academy on March 25 to learn about networking best practices from Career Coach Laura Kearney. Click here for more details and to register. Do you have any questions for us or do you want to comment on the experience you had at NLU through the BOMA/Chicago partnership? Leave us a comment below and share how your advanced degree made a difference in your career. This entry was posted in BOMA/Chicago Events, Chicago CRE Industry, Continuing Education and tagged Bachelors of Science in Management, BSM, IACBE, International Assembly for Collegiate Business Education, Masters of Business Administration, MBA, National Louis University, NLU, NLU and BOMA/Chicago partnership, NLU Career Academy, NLU Information Session, tuition partnership grant. Bookmark the permalink.